Thyroid, Parathyroid, Adrenal, Endocrine Surgery, How does Thyrotoxicosis present? If this is low it confirms hyperthyroidism, as long as the free thyroxine (T4) is raised. Low TSH levels will also occur in patients with pituitary failure but then the T4 is also low. Rarely the T4 is normal in thyrotoxicosis and only free triiodothyronine (T3) is secreted highlighting the importance in measuring T3. This latter condition is called T3 toxicosis. 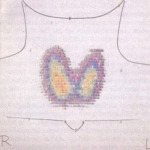 The importance of the thyroid scan is that the low uptake states and Plummer's disease are treated differently from Graves' disease and toxic nodular goitre.